Joan Gregorio has put on a bit of weight since his Augusta GreenJackets days, adding 40 to 50 pounds since 2011, and that's a good thing considering the man is 6'7". His height and length definitely create a steeper angle in general, though he offsets it a bit with a sightly lower, more 3/4 arm angle. Still, 6'7" coming at you at 90-94 with good sink is nice. His slider used to be slurvy, but has now really developed into a remarkable weapon. The pitch is a straight-downer, much like vintage Tim Lincecum. The changeup looks good, too, but is not utilized as much as it could be. Like many minor league starting pitching prospects, the development and consistency of a third/fourth pitch will determine whether Gregorio reaches the bigs as a rotation or bullpen arm. Steven Okert will be the new Javier Lopez when Javy struts off the mound for the last time as a San Francisco Giants reliever. Swinging across his body with a jerky, low-three-quarter release, Okert is dominant against left-handers (.449 OPS in 2014, .670 in 2015) with his mid-90s fastball, sharp-biting slider, and changeup. Fellow lefty Josh Osich taught Okert his change, which he is using as a weapon against right-handers. A 2014 Fall League graduate, Okert is as close to the bigs as anyone. Expect to see him bounce between Sacramento and San Francisco until becoming a permanent staple in the big-league bullpen. 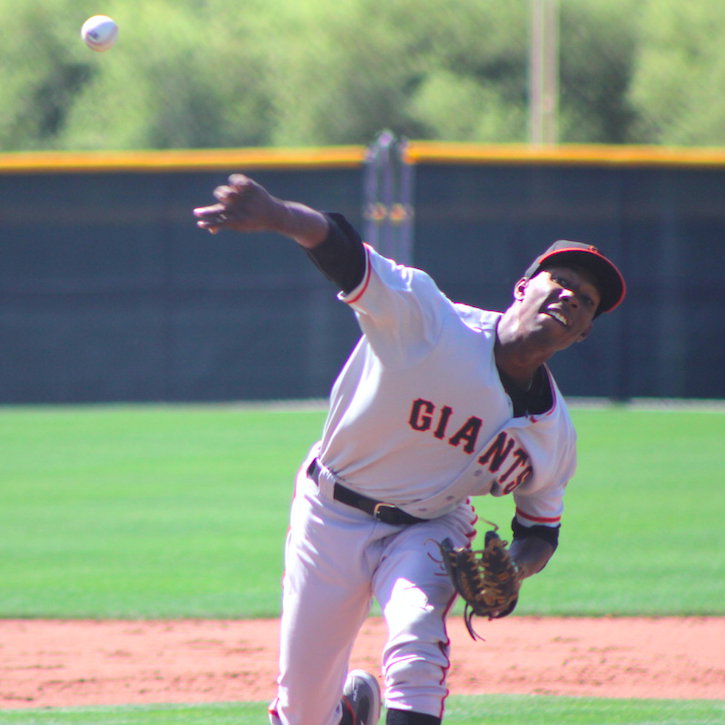 Michael Santos was the second youngest player on the list until newcomers Lucius Fox and Jalen Miller, his new teammates, joined the organization. The 21-year-old Dominican could follow fellow countryman Joan Gregorio by adding some weight to bolster his already solid stuff. He uses a low-90s fastball with tail, a changeup, and his plus curveball. That thing is big. 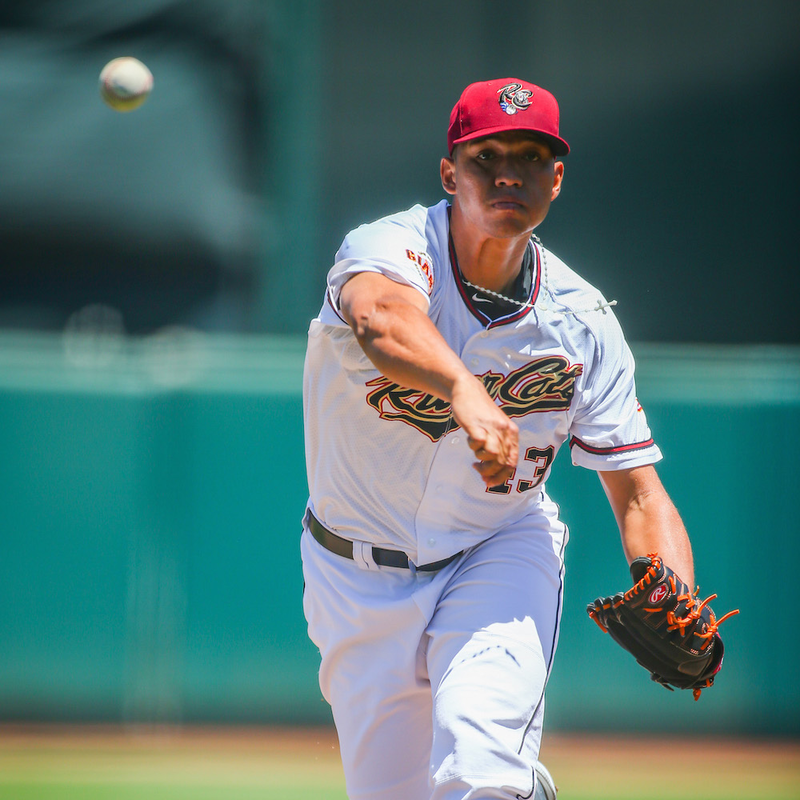 Santos opened eyes in the Arizona League in 2014, starting 12 games and reaching his five-inning pitch limit 11 times. He also finished fourth in the league in ERA and innings pitched. He pitched in Augusta in 2015, but missed most of the first three months with an arm injury. He returned in July, posting a 3.44 ERA the rest of the way. Sent back to Augusta for 2016, he could find himself in San Jose by season's end. Jordan Johnson went from 23rd rounder to Top-20 prospect with one breakout half-season. Johnson, a native of Elk Grove, Calif. who went to Franklin High School and Cal State Northridge, began the 2015 season late in rookie ball while building strength back up from a minor tear in his lat muscle. He joined the San Jose Giants, jumping over Class-A Augusta, in early August where he made six starts and was crucial for the team in the rotation during their playoff run. Johnson ended the regular season with a 4.2 inning, 10-strikeout performance that opened many eyes. Johnson features a low-to-mid 90s four-seam fastball with moderate running action, a 12-6 curveball, a circle-changeup, and is currently in the process of adding a two-seam fastball.